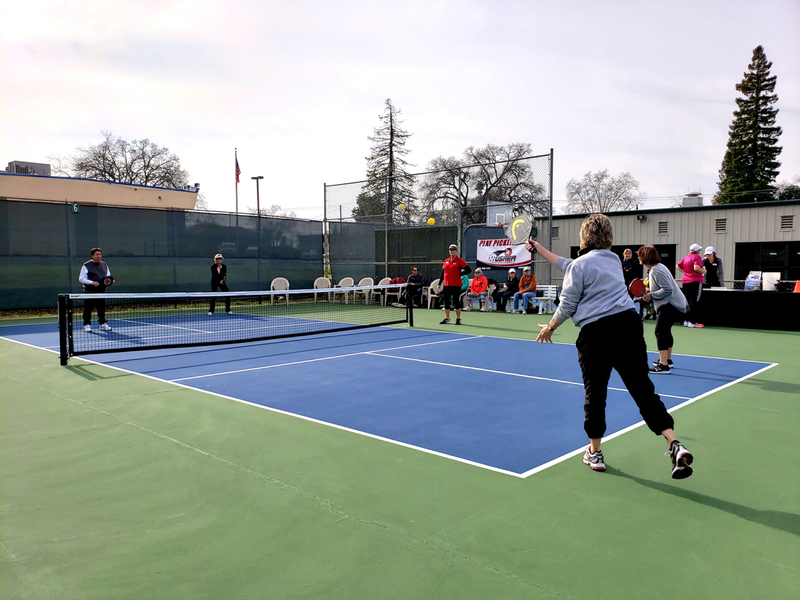 Pickleball is one of the fastest growing sports in the country. 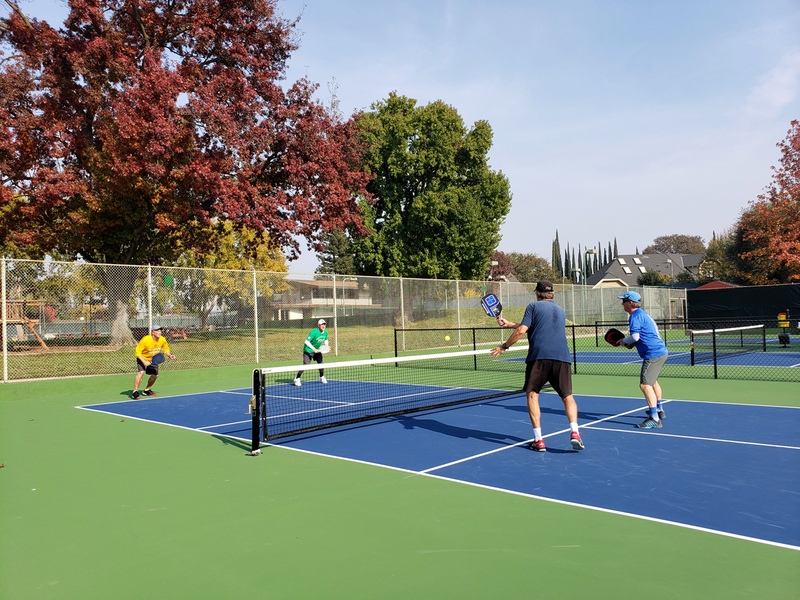 This game stresses finesse and strategy over power on a court that is about a fourth the size of a tennis court. It is a paddle sport created for all ages and skill levels. The rules are simple and the game is easy for beginners to learn, but can develop into a quick, fast-paced, competitive game for experienced players. 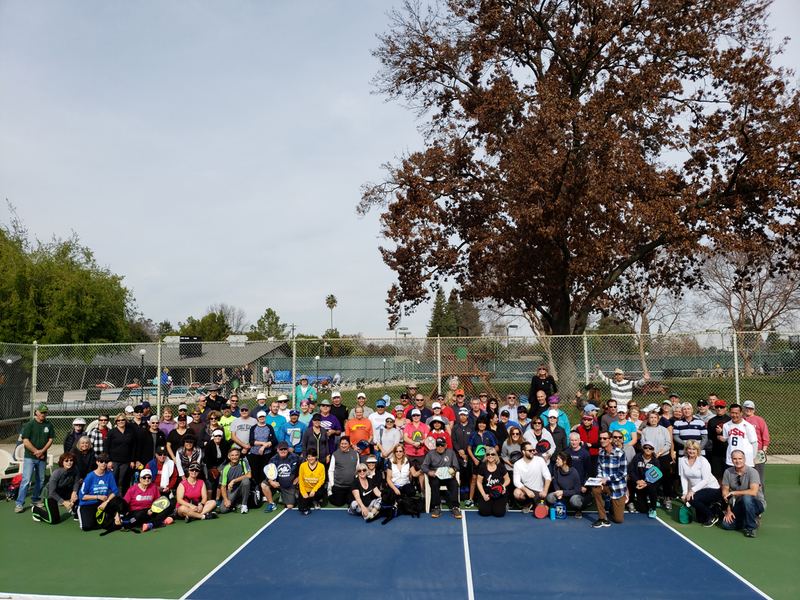 We have 6 courts. 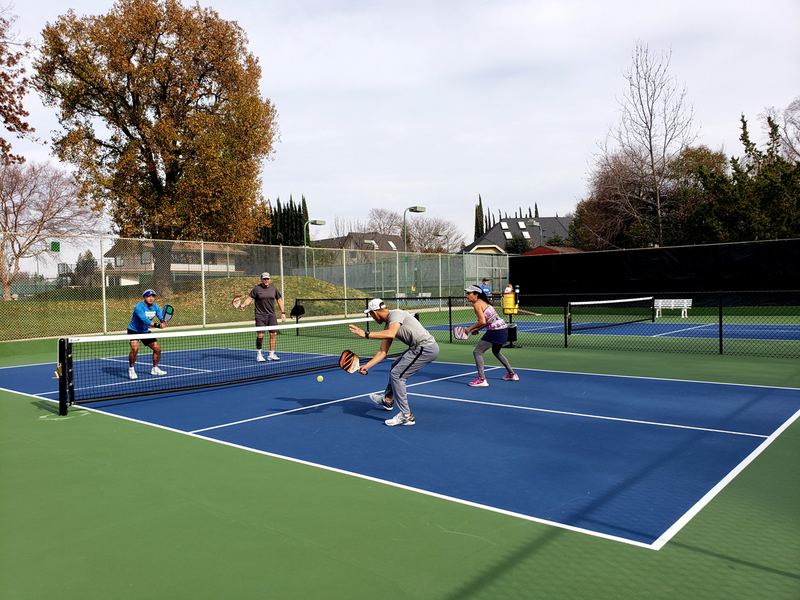 Private and Group lessons/clinics are available for members and non-members. 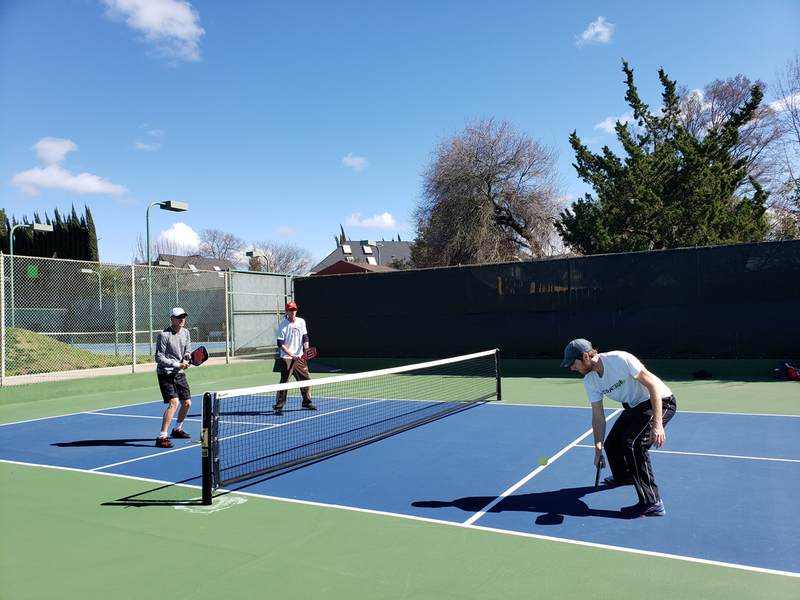 For more information, please contact our Tennis/Pickleball Director. Drop-in play requires no registration. All levels of play from beginner to advanced are welcome. Contact us for our current days and times. We feature a number of fun and exciting programs. Some of our most popular events are the regularly scheduled socials. Each social has a different theme and is a great place to meet new players!